Monocyte cells. 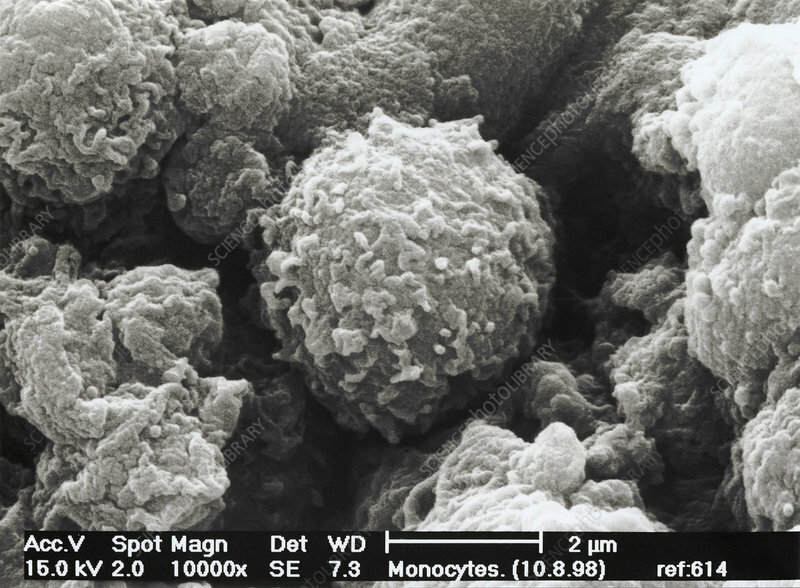 Scanning electron micrograph (SEM) of monocyte white blood cells. These are the largest white blood cells, formed in the bone marrow. They are actively phagocytic, engulfing and digesting invading bacteria and cell debris. Magnification: x25,000 at 7x10 inch size.